Fostering relationships takes time, and when early intervention services are provided within a child care classroom, communication can be challenging, yet not impossible. A key point in nurturing any relationship is taking time to understand each person’s perspective. There are many people involved – parents, classroom teacher, child care administration, and one or more therapist. As a Service Coordinator supporting these individuals, it is important to take time to think through other’s perspective so you can meet the needs within the relationship. 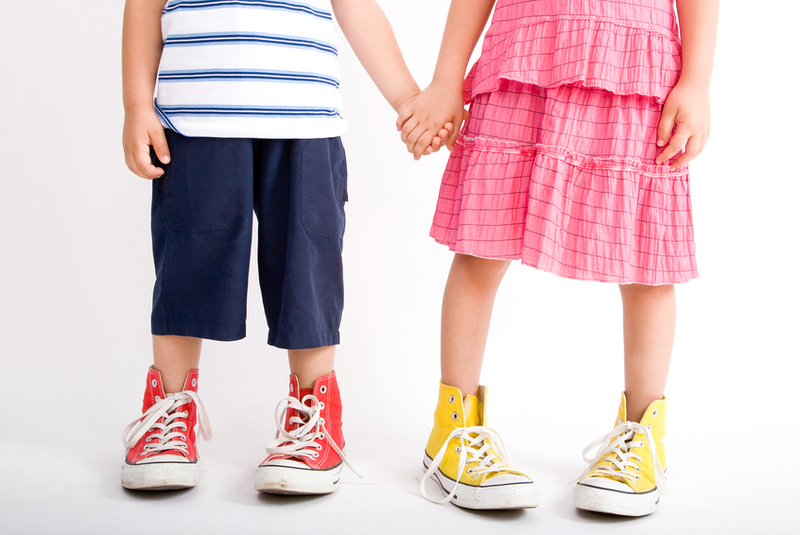 What is it like to walk in someone else’s shoes? How are they feeling? Are they prepared? What do they need? What can they contribute? Families: When a parent returns to work after just having a baby or after being off of work for some time, there can be lots of emotions involved, schedules can change and availability to meet can often times be limited. Parents may be nervous about their own job and their job performance. They may be learning how to balance work and family life for the first time. They may be leaving their child in the trust of someone else’s care for the first time, and that can be scary. The relationship with a child care center and a teacher most likely is new, and communication styles are unknown at the beginning. If an early intervention supports are in a classroom setting, how will parents keep up with the sessions and share their concerns? How will they learn what their children are doing during the day to know if there are any concerns? A Service Coordinator can help support the relationships by finding out how each person likes to communicate. Would they (or are they able) to sit down for a conference? Can they talk by phone? Do they prefer written communication such as a journal or an email? Check with the child care facility administration team and find out if there are any limitations or if they have a preference for scheduling and communicating. Teachers: Teachers want to see children succeed, and their success in the classroom can be a reflection on the teacher. As a teacher welcomes new children into the classroom, they welcome them into a group of children with an existing schedule. The demands on child care teachers of infants and toddlers is high, as they are trying to balance the needs of the individuals, as well as the need to meet regulations and their own job requirements. They want, and need, to learn the child’s rhythms, signals, cues and be able to help them become a part of the routine. It will take time to learn what the child is able to do, what they are doing at home and what their challenges may be at school. When teachers are in the classroom, they need to attend to the classroom needs. Their time and availability to talk and meet with parents or therapists is limited and sometimes decided by the administrative teams. There can be more than one or two teachers in the classroom, as there can be a morning and afternoon teacher, or a floater that will come in to give breaks. As a Service Coordinator, try your best to facilitate and gather initial information about the classroom. What is the classroom schedule? What are the expectations for children within the routines? If there is a specific diagnosis, is the teacher familiar with it or would she need to be educated on how to adapt different routines or the classroom? Will there be more than one teacher that will need to be given the information? If so, how will suggestions and activities be shared among the team of teachers? Therapists: Sometimes therapists are walking into a classroom right at the beginning of the relationship. They may not know the child or the teacher yet and may or may not have met with the parents much before starting. They may be unfamiliar with the routines and how to support the teachers. They may be nervous, they may be anxious to begin but not know how to support both the family and the teachers. Therapists will want to gather the initial concerns and priorities of the families, but also within the classroom to help support the child as they transition to school. The therapist is there to support the caregiver, a problem solve about strategies that can be used throughout the time in between sessions. Some teachers have never worked with a therapist, and may not know how to interact with them within the classroom. As a Service Coordinator, help to facilitate the initial conversations and explain what a therapy session should look like. Explain the roles within the working relationship and the expectations for involvement during the session. Be sure to explain this before the sessions begin if at all possible so that availability for participation can be secured and additional people can step into the classroom if needed. Continue to brainstorm ways to communicate and share suggestions. What works for one person may not work for another, so remain consistent with continuing to build the levels of communication and support. Communication is essential to building a successful working relationship. But so is persistence. Don’t give up but continue to learn about each other, understand their perspective and share as much as you can to support the child and their success and development. COWs Want To Know What Coaching Looks Like, Too! Shout Out to Social Workers!